Mr.Downstairs speaks to those in search of truth in a vacuum. To those who see what is there and are looking for what's next. From the start to the end, their intention was to rise above the norm and forge their future through creative new music. In their hometown of Ithaca, NY in 1997 there were a lot of heavy bands playing the strong local scene, and based on early songs Nbred, Mindless and 100DV, Mr.Downstairs quickly found themselves a valued part of it. Anthony's jazz guitar background, Dan's musical schooling, and Aaron and Brian's first time filling their positions in a band all contributed new and varied approaches to songwriting. Brian's lyrical content centered on self-improvement and empowerment. The band's on-stage persona developed into unrestrained emotional expression, and they did it well. However, by mid-1998, inner struggles based on their completely different experiences were becoming more and more apparent, and were manifesting themselves in a lack of individual confidence and group productivity. The band recorded a three-song studio demo at Masterview Studios in Dryden, NY in June of 1998 but didn't return to mix it until November, when it was finally released along with two four-track demo songs and a live track from the local club The Haunt. When Overturned was written in the summer of 1999, it reinvigorated the band and patched the wound that almost killed everything right there. On a different level devoid of internal struggle, it was also apparent that Mr.Downstairs had taken their first step towards a wider scope of potential, and couldn't look back. 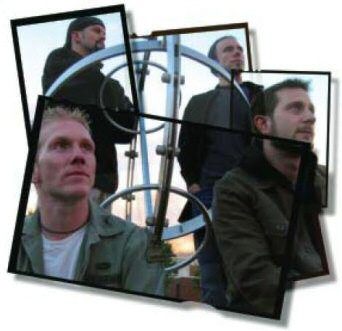 On the strength of Overturned and overwhelming requests, Mr.Downstairs recorded their first full-length CD at Pyramid Studios in January of 2000. Their Self-Titled debut CD was released in April at The Haunt to a sold-out crowd. The band's initial apprehension to go to the internet with the album was dispelled when they finally did in early 2001, and it instantly attracted attention from labels, webzines, and new fans from all over the world. While the Self-Titled release was making the rounds on the internet, Mr.Downstairs stopped playing shows to concentrate specifically on writing, since both weren't happening at the same time. During this time three new songs were written that featured more diverse lyrical topics, more succinct songwriting, and Brian's intentional lack of full-on screaming in favor of more creative approaches -- and less vocal damage. The band also decided to record on their own this time. Dan had attended school for and done studio work, Brian was becoming increasingly self-taught and had developed a home studio suite, and everyone was already recording ideas on their own anyway. With help from local sound technician Trace Davis, and Alex Perialas at Pyramid Studios, the three-song CD PRECONCEPTION was recorded, and was released in January 2002 after several months of regional touring. It moved forward in a new musical direction, but it was apparent that the songs were more of a stop along the way than a destination. In the next few months, Mr.Downstairs continued promoting, playing, and struggling. One song was stretched, squeezed and manipulated for eight months before it was finally settled on. Group songwriting had become so burdened with restraint that individual members began writing their own songs and bringing them in, regardless of whatever standards they did or did not meet. The band had ceased to be what its members wanted, and this marked a turning point in which it became apparent that the views of Anthony, Brian and Dan had aligned over the years, and Aaron's had diverged. Progress was not being made, and live shows were no longer worth playing. Even a brand new song that showed a lot of promise, as Overturned had earlier, couldn't reconcile the situation. In September of 2002, Aaron parted ways with the band. The three remaining members quickly realized how unified they had become. As a trio they wrote so efficiently that in seven months, Mr.Downstairs had written eleven new songs. For recording and writing purposes, bass parts were filled in by Anthony, and by Brian, who had played bass before joining Mr.Downstairs. Unrestricted songwriting led to very diverse musical ideas. Lyrical content ran the gamut, from an unstable roommate to social awareness to scientific fallacy, and anywhere inbetween. But as a whole each song was more complete, and the songs somehow more cohesive as a unit, than ever before. In September of 2003, after searching the entire United States for eight months (by internet, not foot) Mr.Downstairs found a new bass player in their own back yard. Mike Foster had heard about the band needing a bassist from his work manager, who used to work with Dan and had seen them a couple of times. Even though Mike hadn't actually heard or seen Mr.Downstairs, after he saw their 'bassist wanted' poster in one of the local guitar shops he decided to borrow a friend's computer and send an email. After playing in various original and cover bands for well over a decade and developing the burning desire to make music a career, he ended up being the piece of the puzzle that the others were looking for, and clicked almost immediately. And when Mike learned and personalized a song in less than 20 minutes, using a bass tuning he had never played in before, it was obvious this was what the band had been waiting for. Unfortunately, everything comes to an end. That time arrived for Mr.Downstairs after six years of pushing boundaries, buttons and physical limits. The band has now come to an end after the departure of founding guitarist Anthony Cacciotti. Realizing that a new guitarist would mean the end of Mr.Downstairs in any case, remaining members Brian Bessire, Dan Henderson and new bassist Mike Foster also decided to move on. Before going their own ways, however, Brian, Dan and Mike decided to complete the songs that Mr.Downstairs was currently writing, and release them. Twelve songs, spanning a period of expansion and experimentation, were chosen. Some were already recorded. Others hadn't even been started. Appropriately titled, ""be all | end all"" is a glimpse of everything Mr.Downstairs might have been, had things turned out differently. Through this chain of events, the integrity of Mr.Downstairs had escaped unscathed. Instead of compromising their songs to fit the most marketable format, Mr.Downstairs was able to release all of the songs they felt were good enough to share with their fans and friends. They always gave their fans more credit than music industry executives, who seemed to believe that the average listener can only tolerate so much diversity from one band. The members of Mr.Downstairs realized that their favorite bands were the ones that transcended trends and boundaries, forged their own direction and chose their own destiny. And in their last moments, Mr.Downstairs chose to do just that. Oversimplified and sensational news makes for an angry planet - Perhaps it's just a bad dream? * Your song 'In a Bottle' has just been added to steal this book station! * Your song 'In a Bottle' has just been added to Hard Rock Homeboy station! * Your song 'In a Bottle' has just been added to Fem til Danmark station! * Your song 'In a Bottle' has just been added to Battle of the bands radio 00.2 station! * Your song 'In a Bottle' has just been added to KIAC Hitline station! * Your song 'In a Bottle' has just been added to SMASH station! * Your song 'In a Bottle' has just been added to blisss station! IMP Your song 'In a Bottle' has just been added to Choice station! IMP Your song 'In a Bottle' has just been added to Kayak Classics station! This band has broken up, but hopefully the music qualifies as timeless.